In the video footage, the Somali man can be seen being brought onto the plane after all the other passengers are seated. He screams and tries to get sympathy from the other Turkish Airlines customers, saying that he is being separated from his family. 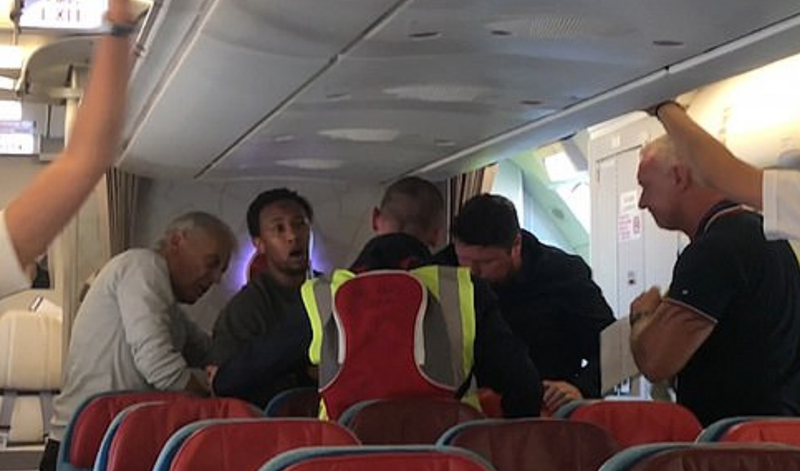 Several passengers on board the flight claim they are fearful because of the noise and request that he be allowed off the Turkish Airlines flight as it prepares to fly from Heathrow Airport to Istanbul. However the passengers continue to argue with the security officers and after a lot of screaming, he is finally led off the plane to great cheers. Social justice gone full retard. Cuck Island deserves no mercy. The UK  is now filled with Turbo Cucks allwith fever swamp death wishes…This is exactly why I stopped going to London. surely they'll just put him on another flight, perhaps a private one next time.